I remember the last few days leading up to my departure for the program. Individuals in my community had heard that I was travelling to Uganda with a group of youth, but that was about it. I had been asked what I would be doing there and responded by explaining I would be listening and learning. 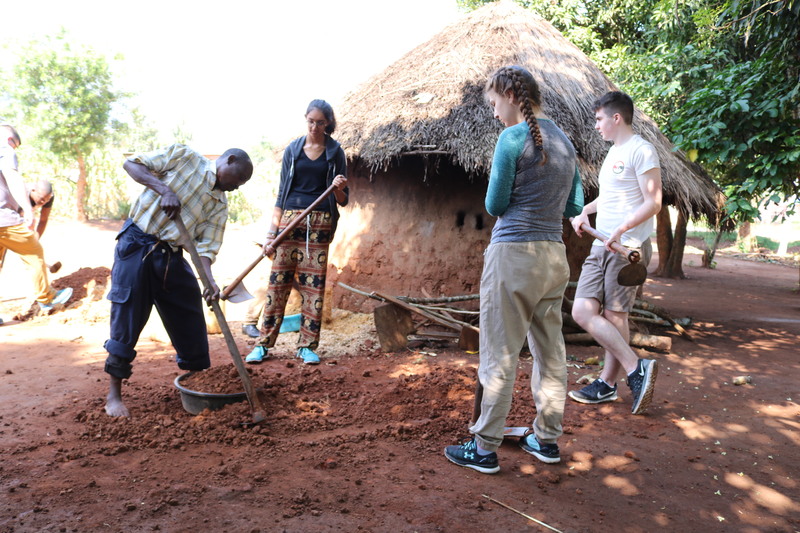 The response to this was often, “Oh, but you’re not building a school or working on your own project?” I hadn’t noticed it, but before this trip I had always thought that foreigners always carried out and led development projects. The idea of community members empowering and rebuilding their own lives had never crossed my mind. It wasn’t that I thought they couldn’t do it, but rather that it didn’t seem realistic. How could someone who lived in poverty or who was HIV positive help himself or herself? This ideology had changed within a day of arriving in the country. The first partner we visited was the Aids Education Group for Youth (AEGY). The group works with youth to educate the community about HIV prevention as well as works to enhance the lives of those who are HIV positive. The most inspiring project to me was the building of eco-stoves. In the past, individuals had cooked with an open fire in a closed space. Not only did this use an excessive amount of firewood, it also increased the risk of tuberculosis due to the exposure to soot. To an individual who is living HIV positive with a compromised immune system, this is extremely harmful. In order to see and experience the project, AEGY had brought us to the home of a family in a community they work in. We were given the opportunity to learn about the stoves as we helped build one. The stoves are built using dried plant leaves, dirt from an anthill and water, all available locally at low costs. The three materials are mixed together forming a cement like material and are placed around a mold made of the trunk of a banana plant. Within two months, the mold decomposes and the stove hardens. AEGY was able to modify the traditional stove which used a large amount of firewood, only cooked one item at a time and filled a family’s hut with smoke into a sustainable and ecofriendly stove, which directed the smoke outside of the closed space. Furthermore, the Eco-Stove is able to cook two dishes at one time, using a smaller amount of firewood than a traditional stove, thereby limiting deforestation in the area. During this visit, I had noticed the woman who lived in the home try to see what was happening and be a part of the process. To me this was a huge eye-opener. To see a community member engaged and excited to learn about this project was extremely inspiring. I had later spoke to Elijah, who works for AEGY. He had explained that AEGY would normally go into a community and build one stove, but would teach the members how to build it. By doing so, the community became educated and began to build the stoves in their own homes without further assistance from AEGY. This one moment had changed my perspective completely. I had shifted from a very narrow mindset of seeing foreign aid as the only road to success to seeing community leadership, engagement and sustainability as compulsory. Iman Kassam visited Uganda with ACGC and the Mennonite Central Committee in the summer of 2017, along with four other Alberta high school students as part of the Change Your World: Youth Leadership Program.